She is well known and a pillar in the cycling community. I had the pleasure of being her team mate when I rode for Trek Women’s Team last year. She now rides for GP VELOTEK and is a Cat 1 Pro racer and a total inspiration to the women in the cycling community, morally, ethically and professionally. Catherine, thank you for being an inspiration to us all! Growing up, my parents described with vivid detail riding through Europe on bikes just after they were married while my dad got his PH.D. i history at Trinity College Dublin in Ireland. As my mom described her daily bicycle commute to me years later, I imagined her jumping into the fray as the “daily peloton” of students sprinted past what must have been my parents’ very humble abode. As she described it many years later to me in her waning years, I realized who gave me a competitive edge. With their stories as inspiration, I majored in French Literature as an excuse to live in France for a year. After doing my due diligence as a student for the first 9 months, I slid easily into a summer of touring every inch of France on a bicycle. I’m pretty sure I could still replicate how to tour the country on a few dollars a day. With the help of youth hostels, my friend, Dominique, and the strength of the dollar, I wound my way around the Loire Valley and some incredible climbs, including Dominique’s favorite, Val d’Isere in the French Alps. While my tennis shoes and walking shorts seemed just fine to me, I yielded to a suggestion along the way to invest in a pair of cycling shorts complete with a chamois. Upon awaking each day, I felt the freedom of eyeing the map and picking the next destination. To me, every ride renews that visceral sense of freedom and adventure. Cyclists are a lucky bunch. 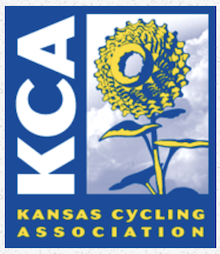 When I met Keith (my husband), we started touring a lot with a local club, the Kaw Valley Cycling Club. We lucked out. At that time, there were a lot of students of cycling who enjoyed teaching every nuance of group riding from echeloning to bridging to sprinting…you name it. I learned the basic cycling etiquette from that crew which allowed my to pick up on all the nuances later mentors shared. The touring community was also a sociable bunch. So, we’d get together and watch all the cycling greats in the grand tours in old news reels and films. I was a super fan and read L’Equipe and Velo News. We’d go to Colorado and watch the Coors Race and try to watch for our local hero, Steve Tilford. One day, there was a criterium in downtown Topeka around the Capitol. Keith said we should go do it. We did. And, that was the start of a long and wonderful racing career. Glenda Taylor was there, fit and fast. I thought to myself that I wanted to be like her. Glenda and I also lucked out because a Cat 1 woman, Martha Wavrin, lived in Topeka at the time. She was tired of not having more women to race against locally so she started a women’s team here with about 10 of us, including Glenda. We met twice a week. We practiced pace lines, sprinting, bridging, hills, everything. She also had a few evening sessions at her house where she’d explain race tactics on the road. We started just local racing and then she would take us to some of the larger regional races. We were pretty bad at the start; but, we got better. Historically, the biggest challenge was trying to fit it all in. I’m a bit of a Renaissance person. I want to be a good athlete, support arts and culture, challenge my intellect, spend time with Keith, our animals, and our friends and do a good job at my workplace. When we started racing nearly every weekend during the season, I realized that if I wanted to be my best on a bike, I had to narrow my focus and be all about the bike, family, and work. I enjoyed that focus for over 20+ years. At this point in my life, I’m recalibrating and trying to take a more 360 view of life. It helps give me a new experience, too, on the bike and think more about enjoying the cyclists around me as we ride, train, and race rather than evaluating the effort solely on whether I captured the win or not. In letting more activities fill up my calendar, the challenge is having the discipline to follow through on the reduced training schedule. Where I used to ride 12-15 hours a week (about 200 miles a week), I’m down to about 9-10 on a good week. I also try to lift weights a couple of times a week. Given the limited training hours, if I want certain results, I don’t have the luxury of skipping a few workouts. When my volume was high, I could punt now and then. When the volume is low and intense as it is now, every work out matters so I have to remind myself what I want to say I accomplished at the end of any given year if I’m tempted to skip an effort. Our cycling community. I really enjoy cyclists. Although we come from diverse backgrounds and locations, there is a common bond among us/a common value system. We like getting outdoors, we value our natural environment, and we enjoy being healthy and taking care of ourselves. For the racing community, we like what competition brings us. I’ve never regretted going to a race or an event. Each experience is so unique. If I don’t train sufficiently, I’ll miss out on all that. It’s been a tough couple of years with loss of friends and family so I’m just starting to dip my toe back into competing. I’ve missed it. My goals this year are to increase my fitness both in terms of upper end fitness and in terms of strength so I can compete versus JRA (just riding around). In terms of events, I want to finish DK, identify (and go to) several more cool gravel races/events, do Chequamegon, and fill in with some local racing like Tour of KC and Tour of Lawrence. If I have the energy, I’d really like to find a couple of Mountain Bike Races to attend. This gravel stuff is super. I’m really enjoying the views gravel takes you to and the vibe of the events. Wow. The list is long. I almost get teary-eyed thinking of the wonderful mentors I have had. Blessed really. I’ll start with Keith. He was my first mentor, encouraging me, believing in me, teaching me. I remember when we first got mountain bikes. I couldn’t even ride the River Trails in Lawrence without stopping, too afraid to do the little whoop de doos there! Literally, 3 years later, I qualified to go (and went) to the World Championships as a Pro in Vail. You had to rank in the top 15 in the Professional Women Mountain Bike rankings to qualify (because they only let so many women in from each country) and thanks in large part to Steve Tilford’s coaching and mentoring, I qualified. The first time Keith and I spent time with Steve and Trudi Rebsaman was in Vail in the early 90s. I spent three days descending with Steve and following him snake through the trees in Colorado. I improved dramatically, like a 100 percent. We finished those weeks in Utah at Slick Rock and I came back a much improved cyclist. Steve was the one who really taught me what it meant to be a professional cyclist (and it doesn’t matter what category of license you have). It’s about preparing yourself physically and mentally to compete, doing your homework before the event and at the race site, executing and taking care of yourself right after so you are ready for the next event. He also taught me to aim high, like, why not go to the World Championships, why not be a professional mountain biker, why not do all the big races, Redlands, NORBA Nationals, Fat Boy Crits in Arizona, Tour of Montreal, Cyclo-Cross Nationals, etc. When I questioned anything, training harder, going to a big race, etc., he’d say, “What’s stopping you?” And, of course, the answer was “nothing”. He also was pretty tough in terms of expectations. So, it was motivating to try to get him to eek out after a win, “That actually was pretty good”. Bill Stolte was also a mentor. He always had good tips when I was struggling. In big criteriums like Athens Twighlight Crit or the Redlands Crit, I was struggling with getting swamped on the last few laps. Bill gave me two tips: 1. ‘Round the outside, and, 2. When you feel the “swish”, go with it. Translated, it means, if you want to pass a huge bubble of riders to get to the front, go wide in a corner and get in front of the “swish”. It’s kind of strange; but in a big pack, at the finish of a road race or criterium, there is a sound you can hear (probably air) just before it really ramps up. You want to make sure you are ahead of that sound and in that small number of people at the very front, in a single line, so you are part of that special group who is vying for the win. As someone once told me, even if you’re in a pack of 100+, you are really only racing a handful of people. It’s important to know who that small, elite group is if you have any hope of securing the win. Easy. Topeka. We have so many great road rides and gravel roads. We also have several good mountain bike trails. Best of all, we have great training rides. I never tire of heading out with our crew and riding for miles and miles and miles and seeing the clouds change above us, sprinting for stop ahead signs, and overcoming whatever challenges face us that particular day. You’ve got to put in the time to be competitive. That means getting a good base in early in the season, i.e., ride some long miles. That pays off in any given year and it builds on itself over the years. Plus, to get better racing you just have to race. The more races you do, the better you’ll be. It’s hard to “plan” to peak for a particular race; but, if you race enough of them, there’s always those magic days or a series of magic days that come when you least expect it. The year I won the Quad Cities Criterium in Rock Island, I’d been traveling for work all week. I came into the race with low expectations. But, I just had it that day. We’d done such good base training earlier in the year and had about 20+ races in our legs by then. Still, I was frustrated with my mediocre results for the year coming into the Quad Cities Series. Although I’d won Snake Alley a few years earlier, none of the Quad Cities races were going well this particular year. When we got to the final day, the QC Criterium in Rock Island, Steve reminded me I was sprinting for the 2nd to the last corner not to the finish line. He told me, “If you get to the 2nd to the last corner 1st, you win.” He was right. (He was often right on any strategy piece). So, with a great lead out from my team mate, Sam (Samantha) Schneider, I arrived at the 2nd to the last corner first, and cruised to the finish line for the win. Steve came up and told me, “You just made your entire year worth it with that win”. It’s those moments you live for——winning something of value after putting in the time to make it happen. I try to hold onto those moments when I’m tired of training and keep my eye on the golden ring. There is always another day, another race, so don’t stress about how good you are today. Just enjoy the moment and drink in all the ride or race has to offer at the moment on a given day. There are a lot of ways to “win” even on days the you are last or get dropped. I’m a glass half-full girl. Life is too short to think otherwise. I remind myself how lucky I am to have born here, at this time, and have the privilege of being able to ride. If I feel lazy or grumpy about riding, I just say, “Really, Catherine?” and get going. 10. Where to you work/career field/family? I’m a health law lawyer and am the in-house, General Counsel for a health technology and insurance company. They are my best sponsor! Hmmm. That is hard to answer. Maybe it isn’t one day or a series of days or even one moment of time. Rather, it’s every time, I dig deep, dig again, and talk myself into making one more effort, just for the chance that this effort may be the one I value most. My greatest successes have come when I overcome my greatest self-doubt, pushing through a challenge (and more likely pushing through a series of challenges—another hill, another attack, a pesky competitor) with only the slimmest of hope, I’ll get the ultimate reward (which can vary from a win to a finish). Over time, those herculean efforts have added up to a series of victories that I’ll cherish forever if only because of the effort they took.